We introduced you last week to two people who have been involved in the Libraries’ Get Online service. Joyce Young recently completed a series of sessions with volunteer Emily Johnson, learning how to use her iPad. We talked with them about how they had each found the experience. Joyce, do you think being able to work with the same person 1:1 was important? What kind of things have you learned during the sessions? I use apps like the bus tracker, I look up vouchers for restaurants on the internet and I’ve even recently made holiday arrangements and printed out my own boarding pass for a flight. and that is all about using the internet and the benefits it can bring. . . .
Well, yes, definitely; I find now I will use the iPad every day. I would say it has made a big difference in so many ways. Now it’s great staying in touch with my son – he travels a lot and he’s sending me photos and updates from where he is, it’s marvellous! One thing leads to another . . . I then learnt how to save photos from an email into the photos app so it’s all organised and I can find them. I tell you I could make a list of so many things like that that I have learned so I’m so glad my son signed me up – best Christmas present ever! Joyce: “I find now I will use the iPad every day. I would say it has made a big difference in so many ways”. So you feel being able to use the iPad helps you feel more “in touch” with things around you? “The thing is there are so many things you can’t do or are getting much more difficult to do without the internet”. I’m now looking at shopping online for instance. I mean, as I get older, it would be a lot easier, I can’t carry heavy things or even getting them into the car is difficult, so, yes, ordering it through the internet and having it delivered makes sense. I’m sure I’m going to be doing that soon! Emily: Yes, that’s right, Joyce now has the Amazon app on her iPad and we almost bought something!! We went right through the process so Joyce would be able to start using that or other shopping sites and apps. When we started, I remember Joyce saying to me she felt like she was so far behind with all the new technology that she’d never catch up and it was too big an obstacle to overcome – but she has done it! The Libraries’ Get Online service runs groups offering free help and tuition in using new technology and getting the most out of ‘being online’. We provide 1:1 support to people in five weekly sessions. Learners are paired up with one of our volunteers to work on the person’s device (be that laptop, tablet or phone) or indeed to work with anyone who doesn’t yet have a device. We spoke with a recent learner, Joyce Young, and the volunteer who worked with her, Edinburgh University student, Emily Johnson, about how positive they were about the experience of this service. Here is the first instalment of our conversation. . . .
How did you find yourself coming to Get Online at the library? What did you feel about coming along? Joyce: “About a month before Christmas my son phoned me to say he was going to get me an iPad for my Christmas and I wasn’t too sure about it at all. However, he also told me that he had signed me up for lessons at Central Library for people needing help with all the new gadgets there are. He arranged this from London actually but, anyway, at first I thought ‘I really don’t know; I don’t know anything about this’. I had had a laptop before but I only used it for one or two things and was really very wary of it. So, when my son suggested the iPad and the lessons I honestly wasn’t sure as I’ve said. As it has turned out I’m very glad I came. I actually had a couple of sessions before Christmas and then we started again towards the end of January. When I think that I came along to the first session the iPad was still in the box (!) . . . however, I had the same person, Emily, with me each time and she was really good at showing me what to do, very patient and encouraging. Even after just two or three lessons I was thinking ‘you know, I can do this’ and since then I feel I’ve come on in leaps and bounds. Joyce Young: After just two or three sessions I was thinking ‘you know, I can do this’! To Emily our volunteer: how have you found being involved in this as a volunteer? I think my favourite thing from the beginning was the fact it really was great to be involved with Joyce quite literally right from the start. As Joyce said, the iPad was still in the box so there was so much I could look forward to showing Joyce but you didn’t really know what yet, or where it might go. But, I think even the setting up of an iPad – or any other device – is not as straightforward as it might seem; you can’t just switch it on and go. So even just setting up the device is an issue? Emily: Yes, it was good to take Joyce through those steps and past that first hurdle. In fact, that took up pretty much the whole of the first session and I also did step-by step notes for Joyce on how to link her iPad up to her Wi-Fi at home for the first time. That’s not the end of it either, you still have so much ‘setting up’ to do to get the email up and running and getting someone like Joyce to understand about registering for things so she could use say the BBC iPlayer or Spotify or whatever which all involves ‘signing up’ and passwords and all of that. All of these are potentially a big thing for people who haven’t any experience of it at all and any of them ‘not working’ could just put people off completely. But, when I think back now, being able to show Joyce things like Spotify (a music app) for example when we looked for an old song she had mentioned. It was such a nice feeling to find it and work in an app; that really went for all the sessions, finding something Joyce enjoyed and, every week, finding something new. Having won a travel scholarship in 1878, the young architect George Washington Browne went to Paris, where he was inspired by the city’s fairy tale gothic design. Later he would use the buildings of this romantic city as his model for Edinburgh Central Library, submitting a design inspired by French renaissance architecture. On winning the competition – his entry was selected from thirty-seven – he created a magnificent stone building, standing three levels tall above George IV Bridge and reaching down to the Cowgate below. The building therefore spans Edinburgh’s disjointed streets, taking into account the multilevel nature of this hilly city. Beginning his architectural career as an apprentice in Glasgow aged sixteen, George Washington Browne worked for and with many architects before striking out on his own. 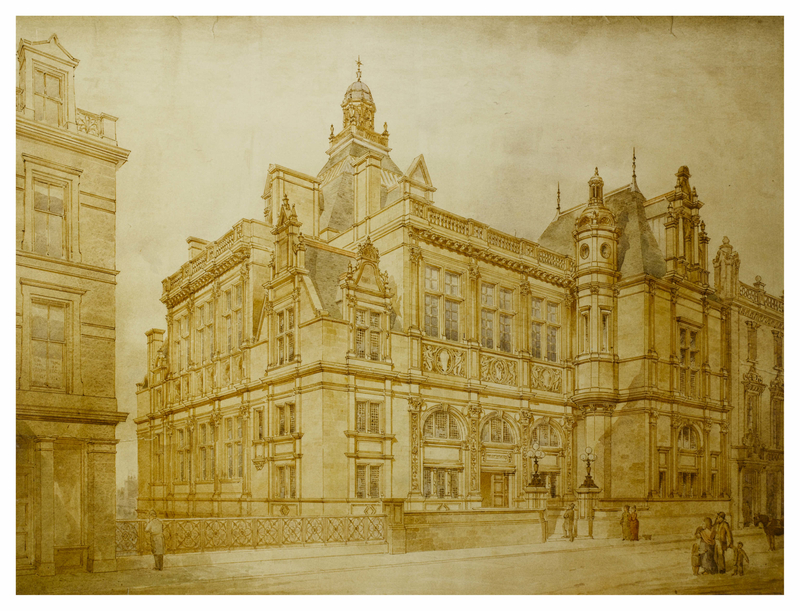 As well as Edinburgh Central Library, Washington Browne also designed The Sick Kids Hospital in Marchmont, St Andrews House in the east of the city and Edinburgh Sheriff Court. While Washington Browne’s professional life was one of glory and success, his personal life was marked by tragedy. His first wife died young, leaving him the sole parent of three sons. Two of his sons were later killed in World War One. His surviving son having sustained serious injuries during the war died from a subsequent infection several years later. As the teenage son of an unemployed Scottish Weaver in Pittsburgh, Andrew Carnegie understood the value of libraries. Not able to go into his local library because it charged a subscription fee, he and other children from the factory where he worked were offered the chance to use a local merchant’s personal library, where he imbibed knowledge which would later help to make him one of the richest men who ever lived, and the embodiment of The American Dream. As an adult he would become a steel tycoon, building a huge company which he sold to JP Morgan for $480 million dollars (in 1901 this was the biggest business transaction to have ever taken place). Carnegie didn’t want his money for himself however, instead sowing seeds for future learning, so all children, regardless of their income, would have access to books and the infinite knowledge that they held. 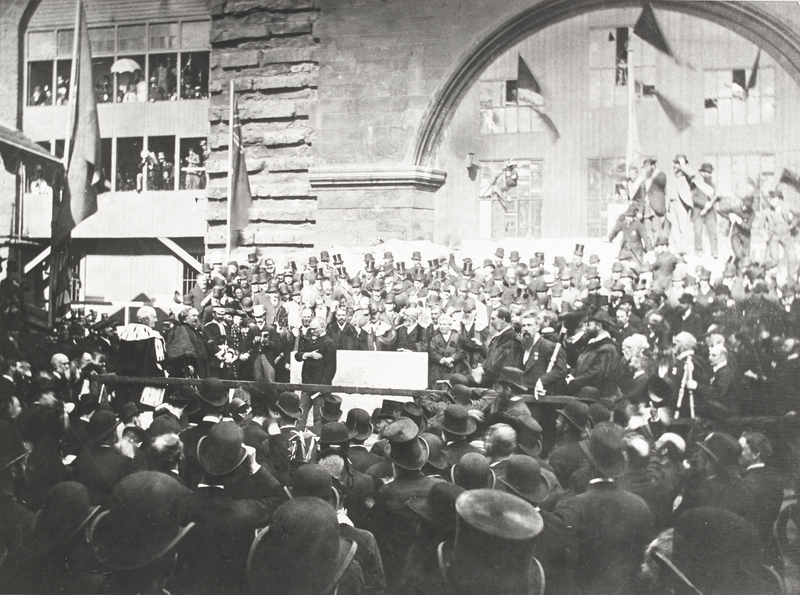 Carnegie’s trust built libraries across America and the UK, as well as three in European cities devastated by World War 1; but his first library was built in Dunfermline, his birth place. The motto – ‘Let There be Light’ – is now familiar to borrowers and staff at Edinburgh’s Central Library, where the logo also appears, a reminder of the importance of libraries and what they offer. Edinburgh Central Library opened in 1890, and was the first public library in the city. The building was designed by George Washington Browne and is built from Stirlingshire stone. 1428 books were issued on the first day, and 44,774 people registered as readers in the first year alone. A bust of Andrew Carnegie keeps watch over his collection. This month’s Art and Design Library exhibition features the work of Glasgow-based artist Finlay Mackintosh. ‘Winter Scenes’ is on display until 29 April. On 9 June 1890 the doors to the first public library in Edinburgh opened to the public. In the run up to our 125th anniversary we’ll take a look at some of the significant developments which have taken place over that time. Edinburgh was the last Scottish city to adopt the Public Libraries Act doing so in 1886 when Andrew Carnegie donated £50,000 to the city to build a free library. Building commenced in 1887 and was completed in 1890. The building was designed by architect George Washington Browne in a French Renaissance style. ‘Let there be light’ is carved above the entrance; something Carnegie insisted should appear on all libraries he funded. Other notable features on the building’s facade include three large roundels depicting the coat of arms of the City of Edinburgh, the arms of Scotland and the royal arms. 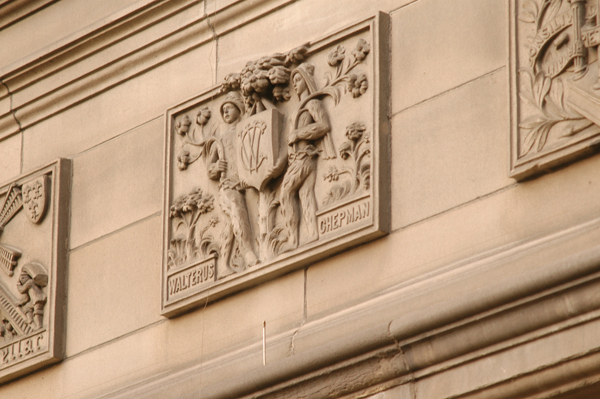 Nine small square reliefs run along the building relating to the history of printing in Scotland. The library opened with three departments: Reference, Lending and the Newsroom. Hew Morrison was appointed principal librarian in 1887. In his 34 years in post he was responsible for developing central library and five branch libraries. A bequest of £50,000 from publisher Thomas Nelson in 1891 funded the development of branches at Dundee Street (1897), Stockbridge (1900), McDonald Road (1904) and St Leonards (1914). Morningside opened in 1905. 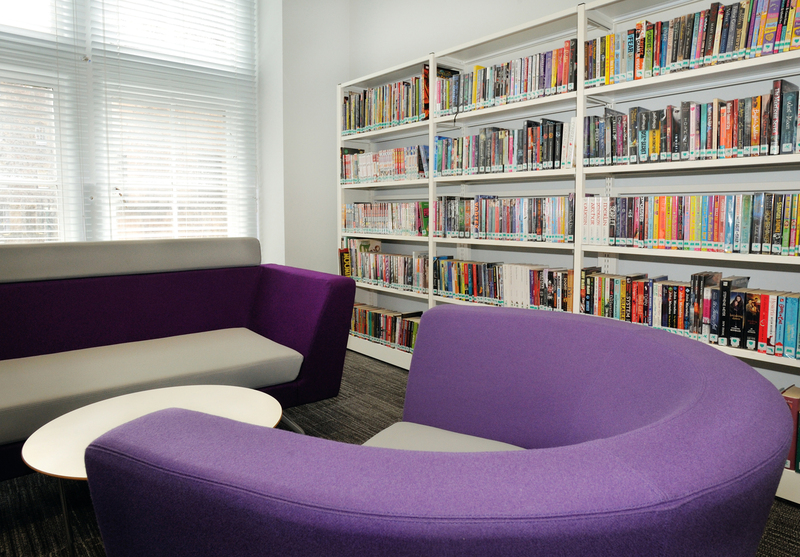 Today we opened two new spaces in central library. 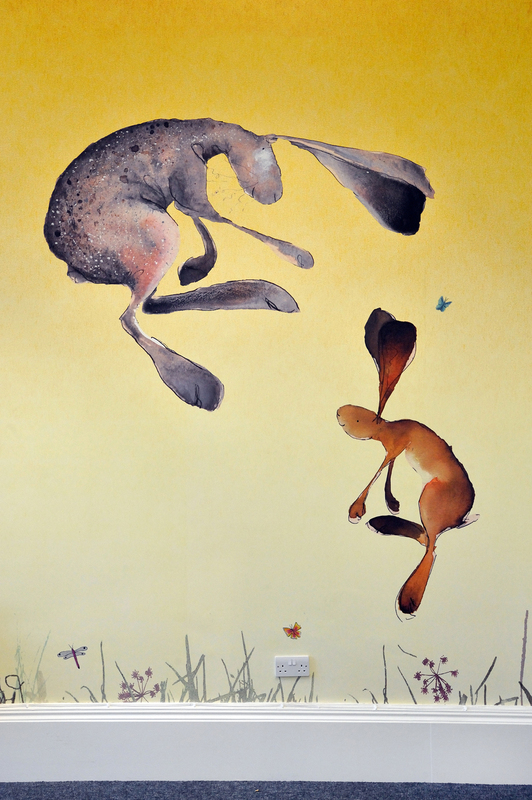 Our children’s library features wonderful wall graphics by award-winning illustrator Catherine Rayner, as well as dedicated craft and event areas. 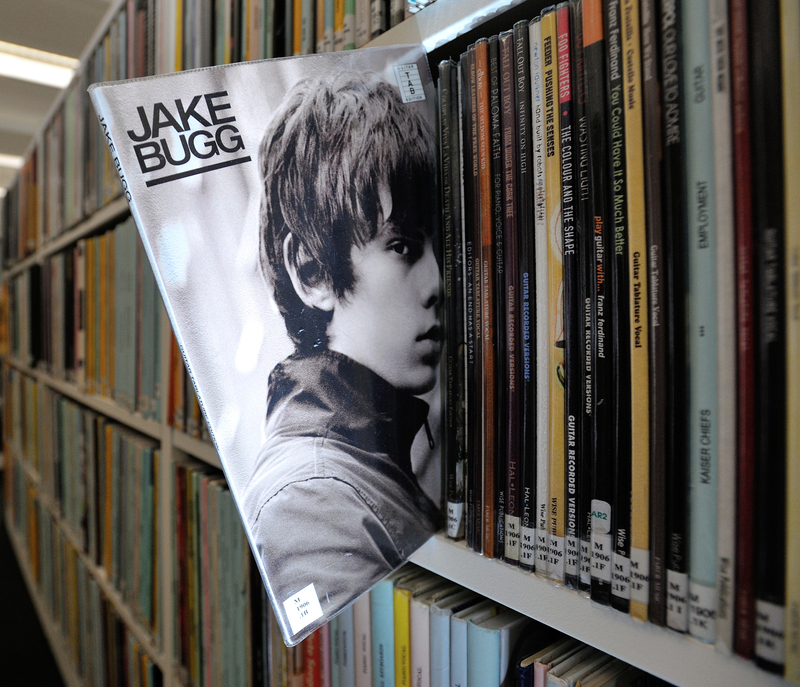 We’re also very excited about our new music library. This unique space is perfect for relaxing in comfort, streaming music through Naxos or browsing the collection of books, sheet music and recordings. We’re delighted with the sense of light and space created in both of these areas and urge you to come in and take a look round.